This bay is located 6 km south of Caldera, approximately 12 km in length. This is a seaside resort of national importance, where you will find services all year round for tourists. This place owes its name to an English corsair, Edward Davis, who arrived at these shores in 1687. The bay is characterized by its turquoise blue waters and white sand. In the southern sector you will find the beaches of Las Machas, Rocas Negras and Las Algas; and others kept in a state of natural beauty such as Chorrillos and Bahía Cisne. In the extreme north, Piscina beach stands out, surrounded by rocks, the space inside with coves suitable for swimming. 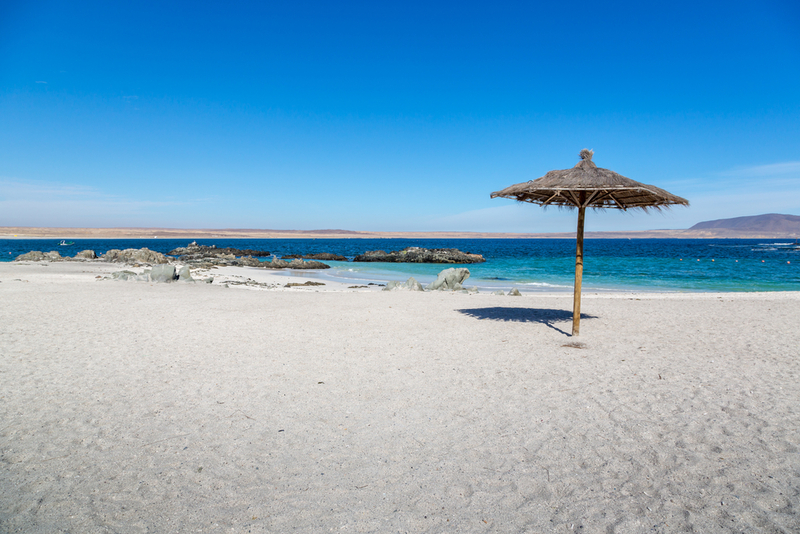 You can reach Bahía Inglesa from Santiago to Copiapó by plane, public transport or car. The journey by plane from Santiago takes 1 hr 15 minutes, then you reach Caldera by road, 75 km from Copiapó. If you are coming by car from Copiapó to Bahía Inglesa along the Panamericana highway, you will find a turn off about 66 km along, which you need to take for 6 km until you reach the resort. This beach is located 6 km south of Caldera in Bahía Inglesa. It’s suitable for swimming and water sports. Located 7 km south of Caldera in Bahía Inglesa. It’s suitable for swimming, water sports and fishing. This beach is located 4 km south of Bahía Inglesa. It’s suitable for swimming and fishing.